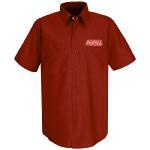 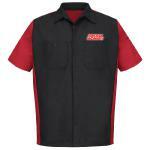 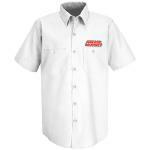 Keep your crew looking professional and sharp in theses durable yet comfortable Authentic RED KAP work shirts. If you want strong, durable work shirts, this is the shirt for you. It's tough soil release finish keeps you looking good all day long regardless of what messes you get into. Screen Printed Classic "Grease Monkey" logo over pocket and large "Grease Monkey Mascot" on back. 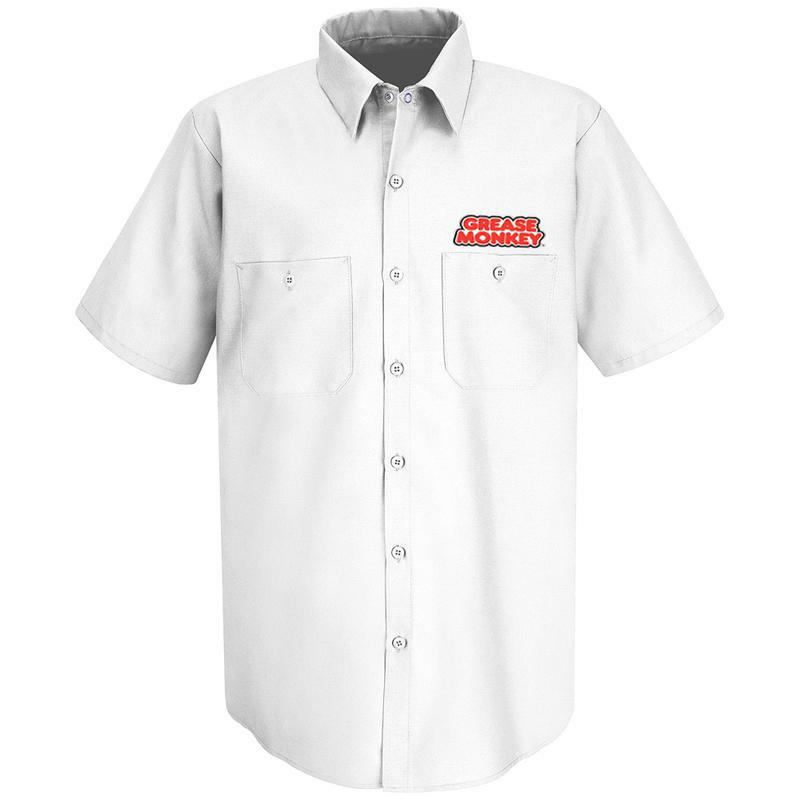 Pocket : Two button-thru, hex-style pockets with angled bartacks, bartacked pencil stall in left pocket. 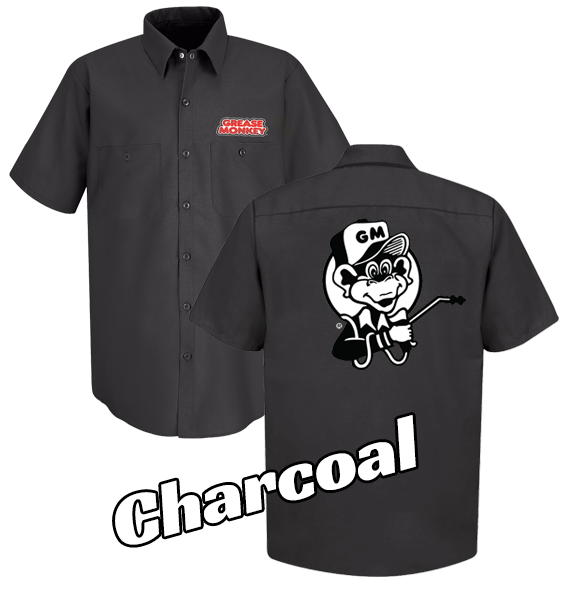 Starting at $18.00 Printing included!!! Free shipping on $200.00 or more. This is it! The ultimate short sleeved work shirt, designed and manufactured to give car guys the latest in style, technology and comfort. Garage tested and approved, see for yourself if it doesn't have features that make your work easier. Starting at $29.99 Printing included!!! Build your Crew with some of the best color options available! If you want an affordable shirt when you're on a budget, this is the shirt for you. It's soft comfortable and durable. 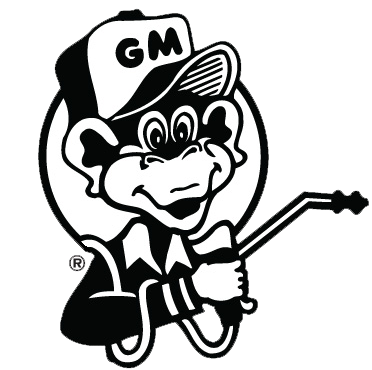 Screen Printed Classic "Grease Monkey" logo over chest and large "Grease Monkey Mascot" on back. 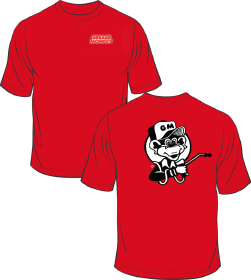 Starting at $8.00 Printing included!!! Choose from our most popular colors! !